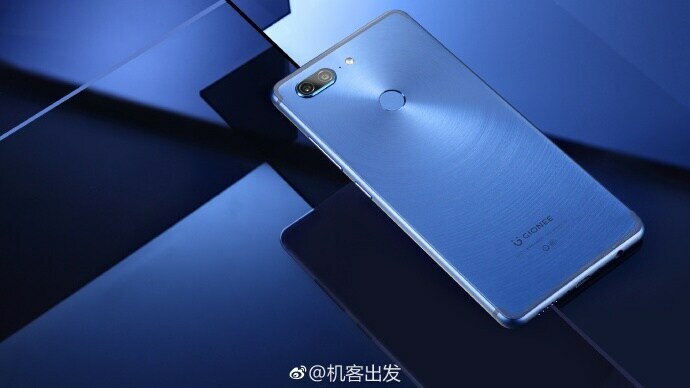 The new image of the Gionee M7, leaked on Weibo, reveals a dual-camera setup on the back of the phone along with a brushed metal unibody design. 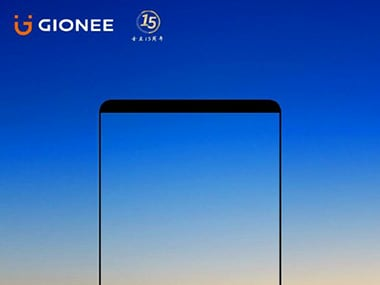 Chinese smartphone manufacturer Gionee will be launching its M7 smartphone on 25 September. In a earlier report, the company had taken to Weibo to announce its first 18:9 aspect ratio phone. Now based on a new image leak on Weibo reported by GSMArena, we get a closer look at the back of the tall device. The new image also reveals the dual-camera setup on the back of the phone along with a brushed metal unibody design. While the news about the dual-cameras isn't new, the brushed design is a first. A closer look also shows the presence of a 3.5 mm headphone jack and the antenna bands of the phone which run along the edges. Based on earlier leaks and rumours, the device will be powered by a MediaTek Helio P30 chip and will feature a 6-inch display in an 18:9 aspect ratio. Given the ratio, the image resolution is also expected to be higher than full HD at 2,160 x 1,080. Inside we’re expecting to see at least 6 GB of RAM and 64 GB of internal storage. While the latest image does reveal a dual camera setup, it was earlier stated that the M7 would get a single 16 MP rear camera and 8 MP front camera setup. An older report, earlier this month, did hint at dual-cameras featuring on the phone. Price and availability of the phone is yet to be known.